In some ways the arduino.org ide is slightly behind the arduino.cc ide. This can mean that some newer libraries might fail when you try to use them. If a library (downloaded from the internet) is not compatible with the arduino.org ide then it will also not be compatible with Visual Micro when the Arduino.org ide is selected. You will find the arduino.org ide in the Visual Micro <Configuration Manager>. If arduino.cc is already installed on a computer then the .zip download from arduino.org will suffice. 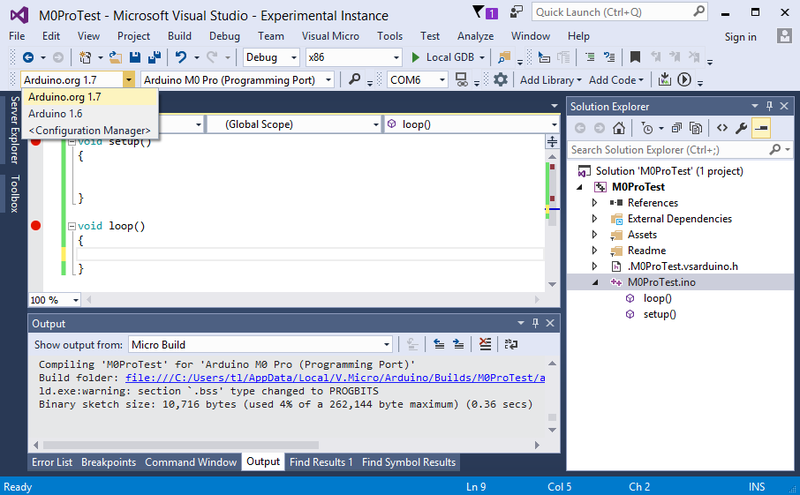 With Visual Micro you can install all Ide's at the same time. It will automatically read and use the configuration of each ide and present the appropriate options.